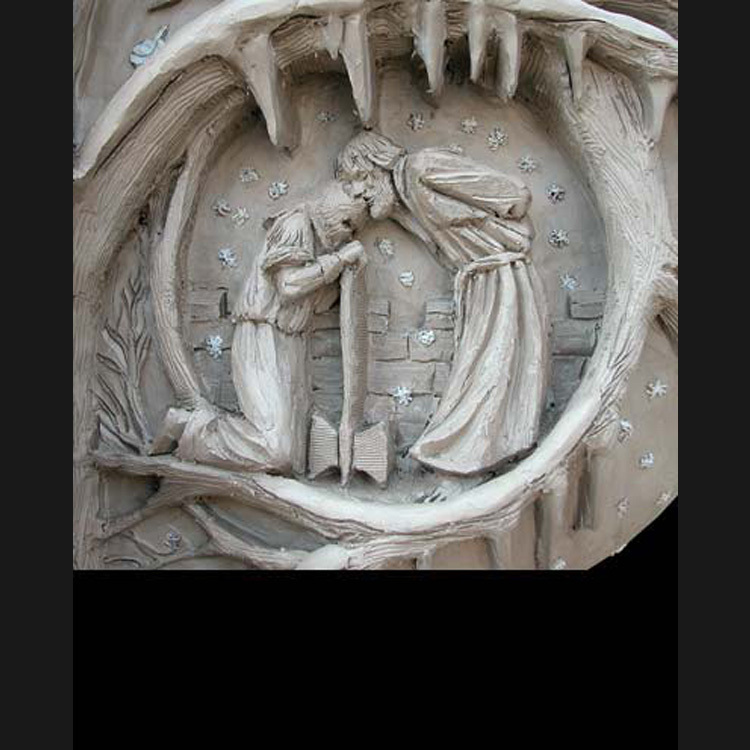 This is by far the most unique and comprehensive sculpture of this “Man For All Seasons”. 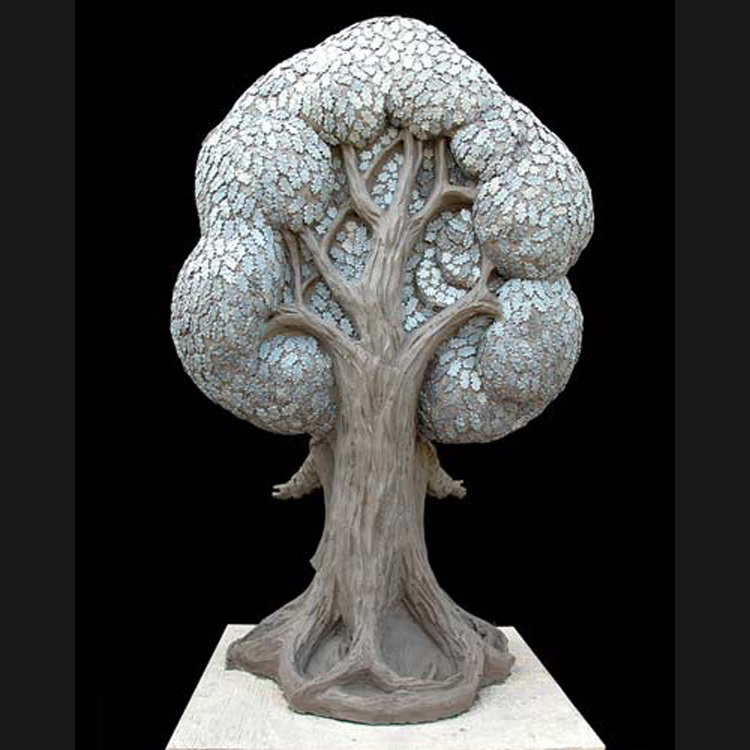 The overall design of the sculpture is an image of a mature oak tree. 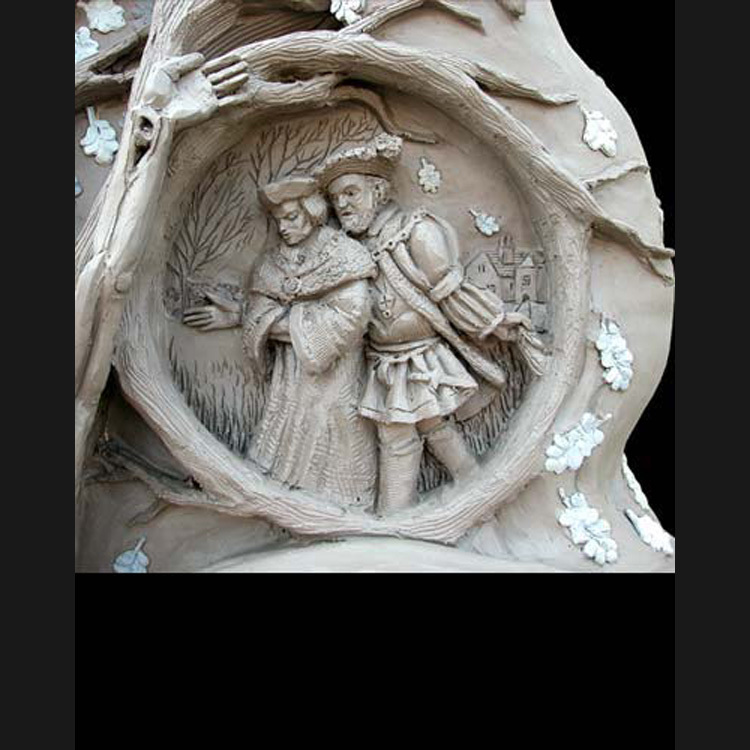 At the front of the sculpture this Saint stands with open arms and a gentle expression on his face. 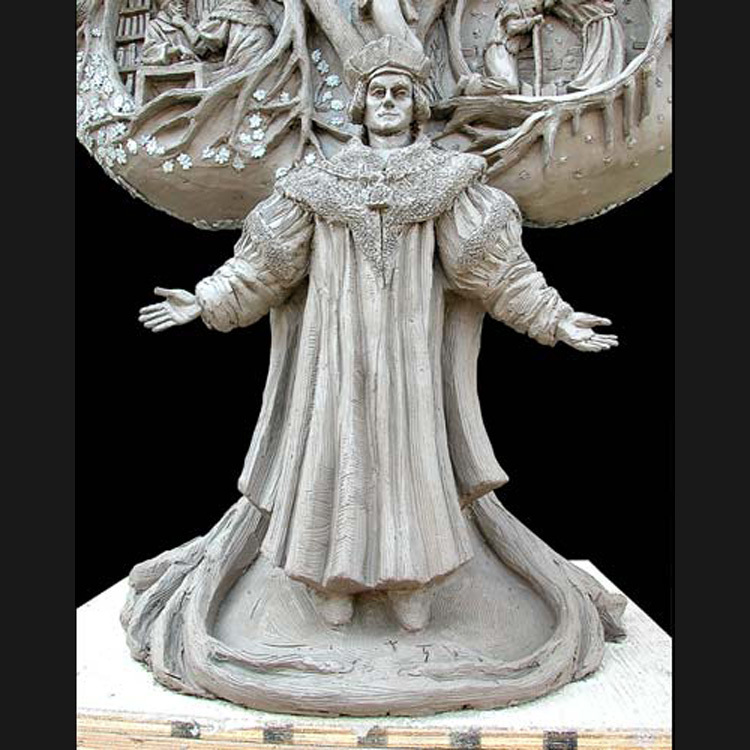 His dress is detailed and historically accurate. 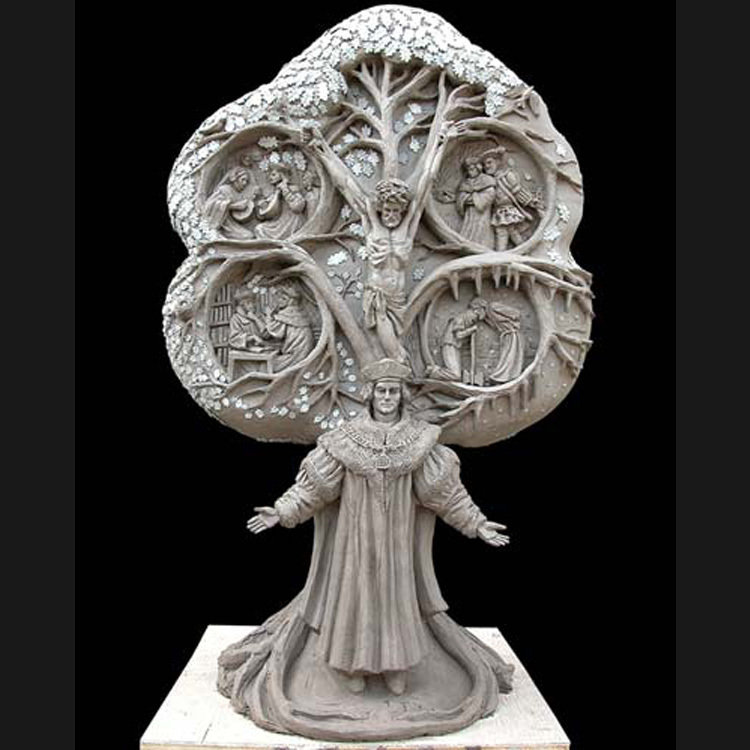 Moving up from the figure of the Saint and the heavy roots of the tree, the branches stretch out to reveal four independent scenes representing the seasons of this Saint’s life. 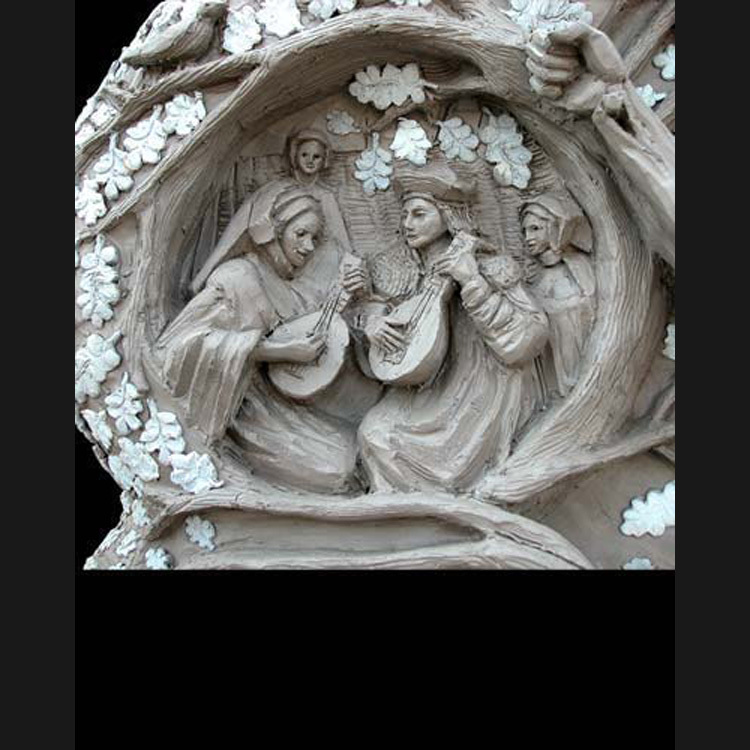 Timothy’s creative genius is evident in how he blends these scenes of the seasons of St. Thomas’ life with the tree passing though all four seasons itself. 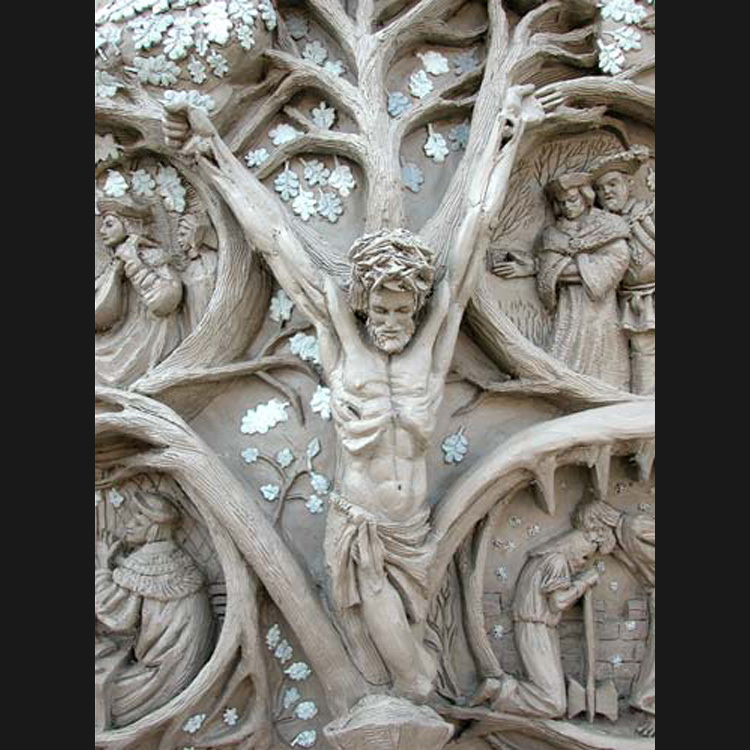 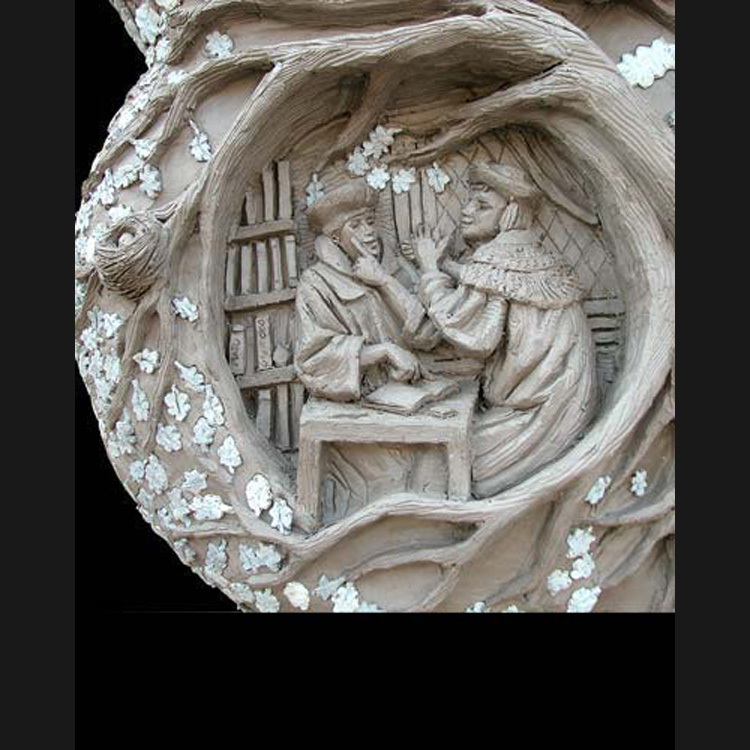 At the center of the sculpture is Christ as He was at the center of St. Thomas’ life.